Editor’s note: This post was written by Alicia R. Norman, a freelance writer as well as a graphic illustrator/animator. Norman’s primary goal is combine the vivid storytelling with animation in order to make scintillating, fun and/or thought provoking films. As a content provider, Alicia R. Norman is driven to create quality compositions at affordable prices. With several years of experience in media production, Alicia brings a takes great pride in delivering a top notch quality product, on time, every time. 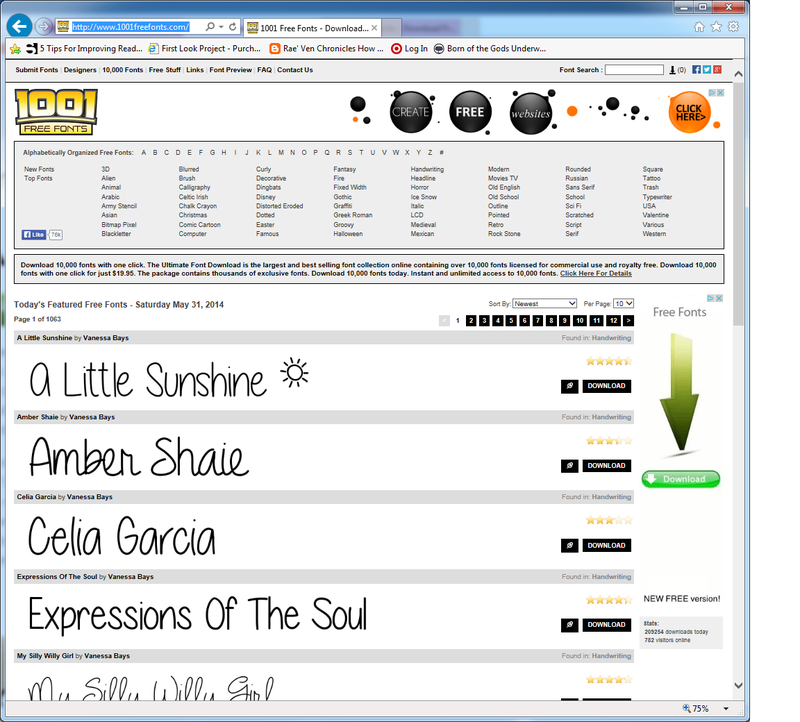 Alicia’s official webpage can be found at http://www.luvmultimedia.com. Locating the perfect voice balloons and fonts is an important step towards creating professional looking panels and graphic novel artwork. Styles and types depend greatly on the comic page layout as well as what is happening in the scene. For example, a low key dialogue scene may have classic balloons and comic sans type fonts, while an action sequence may utilize exaggerated balloons and large, excited fonts. Cartoon style speech balloons can take basic panel art and transform it into a graphic novel illustration. While one can use PS shape tools to create speech and thought bubbles, it pays to find a cache of presets that can be easily customized. With due diligence, I was able to locate 3 sites that offer a vast array of free shapes. The brilliant thing about these presets was that they were easy to install, a breeze to use and many of them captured the moods I desired perfectly. This is where I located my favorite set of speech balloons. I enjoy this kit immensely because I can access them via the custom shapes area. The creator of these balloons has also licensed them for both commercial and personal use. It is very rare that a PSD freebie allows for commercial use so I was ecstatic about the find. 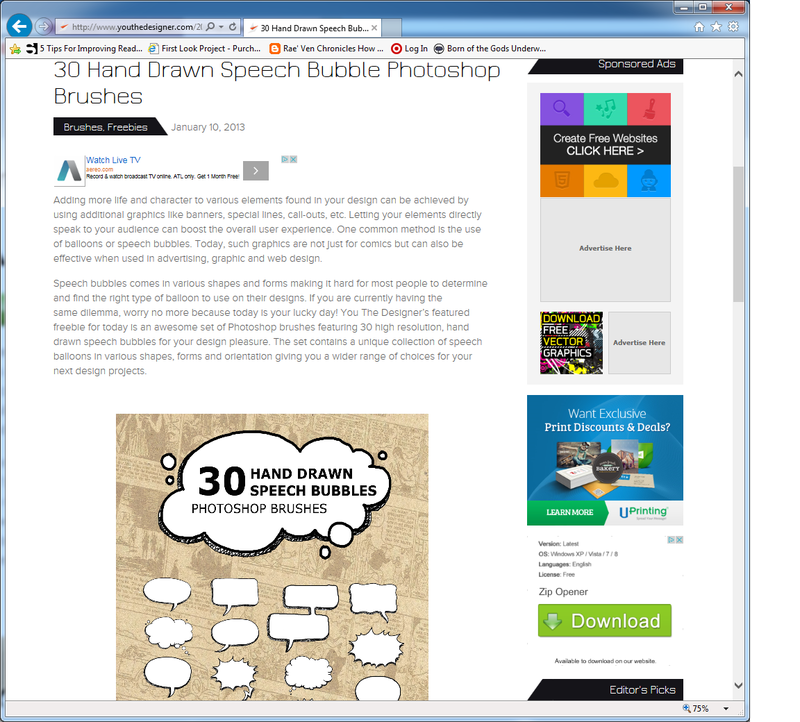 Visit http://graphicssoft.about.com/od/photoshopdownloads/ss/shapes1_9.htm and download the Speech Balloons Kit. Once downloaded, you’ll find three files, namely, PSD asl. (layers), PSD chs. (custom shapes) and a read me .txt file. Go to where your Adobe Photoshop program files presets are located and place said files in the appropriate folders ( ex., csh files go into Custom Shapes). You The Designer has a unique downloading system where you “pay” with a tweet in order to access the files. I was skeptical at first but found that I was able to download the kit in a few seconds flat. The download includes an abr. (brush) file and a jpg. of the bubble images. The 30 brushes are a very nice set and is a stellar find, especially if you desire a hand drawn, organic feel for your comic. 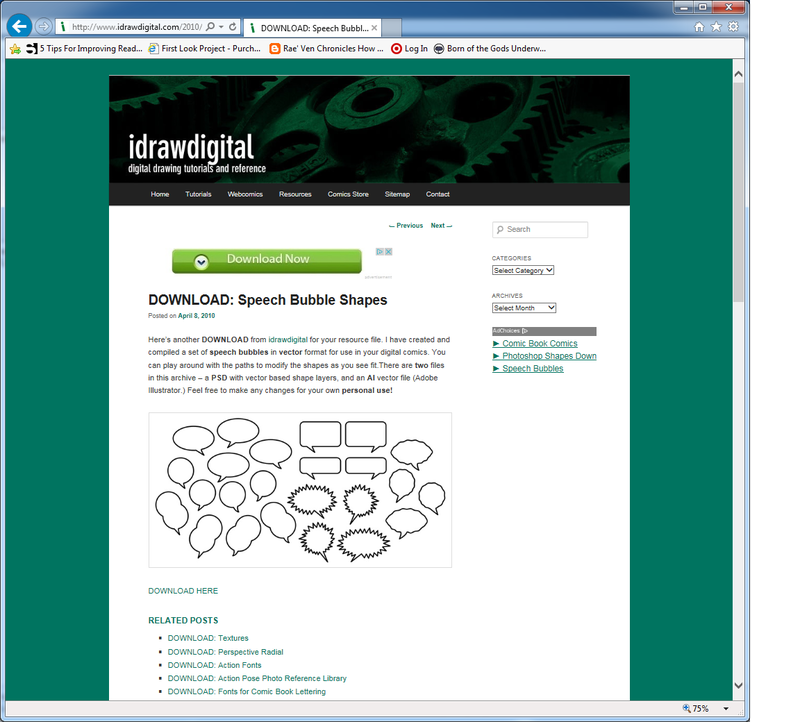 I Draw Digital provides speech balloons via a PSD file and an Illustrator (VI) vector file for both Mac and Windows. Be sure to click the “download here” link below the speech bubble shapes image and not the bright green “Download Now” banner above. The latter will download a bunch of spyware onto your computer. Been there, done that, bought the t-shirt and the “we-are-number-one-foam-finger.” Twice. The actual files are in the formerly mentioned link. Click download, “Save As” and place the files in an easy to access folder. Like a visual punctuation, fonts highlight the emotions we wish to convey in a given work. 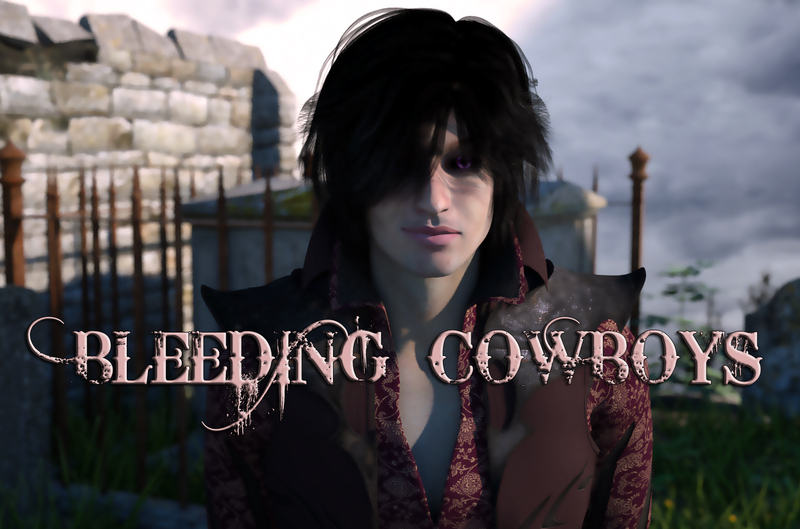 Case in point, classic fonts like Times New Roman, can provide a solid, professional or trustworthy tone while horror fonts like Bleeding Cowboys give just the right amount of edge or suspense. The latter was most important, as in the early days of my searches I was hoodwinked by a few sites who pulled bait and switches. I’d become excited upon finding just the right item for my needs only to discover I had to pay for a membership or per download to receive them. Be upfront, that’s all I ask. 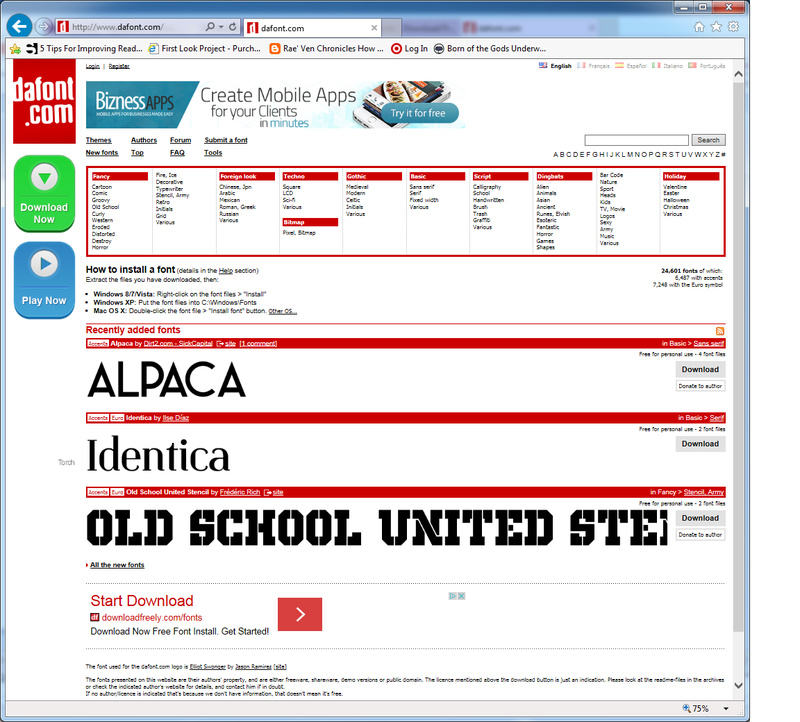 That said, you can rest assured that the websites I uncovered truly provide free fonts, with no muss or fuss. I really like it when I come across a font site that thinks outside the box. 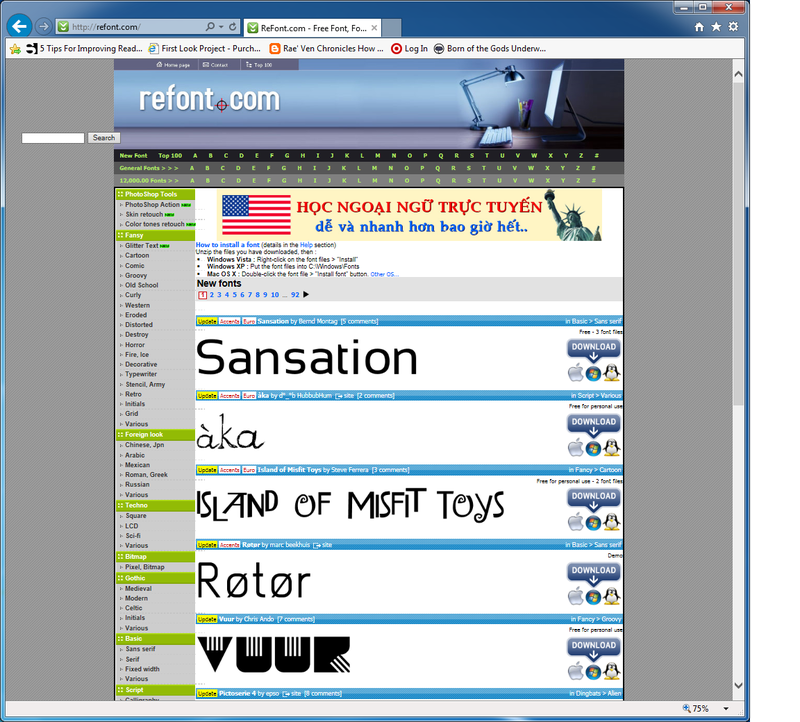 On Refont you’ll not only find letter style fonts but vectors and image fonts as well. Most of these are only free for personal use with stipulations for commercial use. The commercial licenses vary from creator to creator, with many simply wanting a credit for their work. Others may desire a small payment. Be sure to read the accompanying text files to see what the font author desires in compensation for non-private use. Some fonts will install automatically after download (you’ll see an install button upon opening the file). If you don’t see this option, you’ll have to install the file into your computer’s font directory. The mainstream free fonts on this site are a cornucopia of moods and patterns. 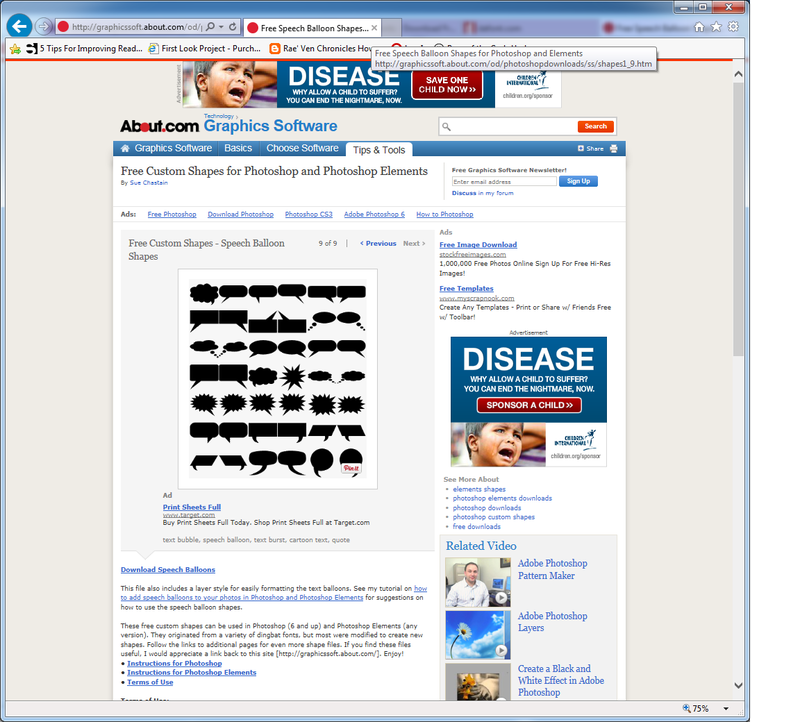 This site has “Download Here” banners as well. Avoid them to get at the wonderful freebies that abound I. As with Refont, you’ll have to read the accompanying text files to see what the creator desires when it comes to commercial use. In many instances, it’s a simple credit. There were several reasons why I liked Dafont. One of them was the fact that they offered a “donate to author” option. You can see that most of the fonts are free for personal use as well. Easy to download and install, Dafont.com’s array is pretty stellar offering up unique styles that you might not find elsewhere. Selecting the right voice balloons or fonts can assist us in conveying moods, ensuring that our ideas come across both visually and via action or dialogue. Of course, there are no hard and fast rules in this regard. You can get as creative as you like, breaking the rules to manufacture your own unique comic or graphic novel signature. In order to get started in the right direction, you’ll need to obtain the proper tools for the job. The above sites are a great place to start.